I recently worked for a very kind man for the second time. The first time, he hired me to speak for a government agency. He has since left the government, and hired me to speak to his new company, n~ask Incorporated. Being hired once is nice. But being hired back is MORE than twice as nice. It’s bad math. But it’s true. The first time I was in a hotel ballroom in Virginia, doing my funny motivational speaker thing for a huge government audience. But this more recent speaking engagement was in Florida for a very small (but mighty) group in a restaurant. By the time I started speaking, it was pushing 9:30 PM, the group had had more than a couple of cocktails, and they had been sitting through a long gourmet dinner. But happily, it went well. In fact, it was a blast. On behalf of n-ask Incorporated I would like to sincerely thank you for superb presentation during our 10th Anniversary event. In true Brad fashion, you adopted our message, created the appropriate theme that struck the right chord with our group. Your adept blend of humor, coupled with the desired “thought take-away” was a huge success. Your skill at managing the toughest of crowds, and leading them to the possibilities of the future is exactly what our team needed. Again, our sincere appreciation for your time in assisting our staff in recognizing that change is not to be feared; and humor in the face of challenge is a trait to aspire to. All in attendance left with a new perspective on our corporate goals and their role in our collective success. We look forward to you working with us in the future as we continue down our path. Yippee. I had fun too, but it is wildly cool (I know, it isn’t a corporate term, but it accurately describes it) to get amazing letters like this one from JH. Looking for a corporate or government motivational speaker for your event? Contact me here. Looking to hire a motivational speaker? Check for references. Check for a LONG list of happy clients. Very happy clients. And don’t be afraid to challenge them on how recent their references are…. we’ve all seen folks with references that are a decade old. What has your business speaker done recently? I’ve been working a ton. Here’s some footage of my recent clients in Minnesota. Looking for a motivational speaker for your event? Contact me here. 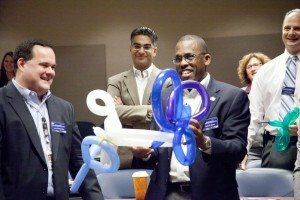 Doees YOUR group need a happiness speaker who can help them be happy at work? You’ve found him! https://www.bradmontgomery.com/wp-content/uploads/2018/11/logo-1-495x198-1-300x120.png 0 0 admin https://www.bradmontgomery.com/wp-content/uploads/2018/11/logo-1-495x198-1-300x120.png admin2012-09-20 14:07:232018-04-12 14:05:46How Do You Know If Your Motivational Speaker is Any Good? I recently did some work with a wonderful government audience in California. They had me do my all day happiness at work seminar called Laugh-O-Nomics™. We did everything from motivation, to collaboration, to team building and facilitation. I was there a full day, but it felt like about 90 minutes … It was fun. Looking for a happiness motivational speaker for your event? Contact me here. So to anybody that might be looking for a motivational speaker to come out to your event we would highly recommend Brad. He did a fantastic job and I feel like we all left with the feeling that happiness is an attitude and that you choose happiness and I would highly recommend him for any job that you might have. Brad was not only funny and entertaining, he had strong motivational skills. He made sure to speak to people asking what they wanted, what their organization was about, what was important to them. He also turned around and was very interactive with the crowd. Was he dirty? No, he really tried to stay away from that even though he wanted to. He wanted to ****. No, kidding, kidding. He actually paid strong attention to what we needed as an organization. I think he really helped us understand that we have the choice of whether we want to be happy or not and we need to really focus on taking that happiness with us at home and at work and that it’s possible to actually enjoy your job and be happy at work. So, it was an event that we were hosting to hopefully boost the morale and reinvigorate our group of professionals to get them re-motivated and enthusiastic about their jobs. There was a lot of laughter, everybody was having a good time; got a lot of positive feedback. People seemed to be really enjoying themselves and also had them thinking and so Brad, one of the things that Brad helped with was we had to create the balloon animals, where the, or the balloon statue, where we all had to interact with each other and work together to create something within a matter of a few minutes and it worked out really well. As a team, it promoted teamwork and there was a lot of laughter. Everybody was having a good time. It was really engaging. I think that was one of the best parts about it, other than the things we will take home with us. Ever wonder what happens behind the scenes to motivational speakers when they’re working? Check out this (admittedly) home made video of a job I just did in Alabama for the DAU. (Defense Acquisition University.) They asked me to be their military speaker and present a funny speech for their hard working group. motivational speakers work hard. The travel, preparation and details can be taxing. But what we get out of it (at least for the good speakers) is way more than a pay check. We have fun. I know I did. Learn more about my speaking for military audiences. Some testimonials from DAU about my work as a military speaker. Go there now. More info about what I offer military and related audiences. Go there now. See the same Behind the Scenes of a Motivational Speaker video (above) on YouTube. https://www.bradmontgomery.com/wp-content/uploads/2018/11/logo-1-495x198-1-300x120.png 0 0 admin https://www.bradmontgomery.com/wp-content/uploads/2018/11/logo-1-495x198-1-300x120.png admin2012-09-02 22:04:112016-10-15 15:42:48Behind the Scenes of a Motivational Speech? If I were booking a health care motivational speaker, I’d want to know if they can actually do what they say. Wouldn’t you? 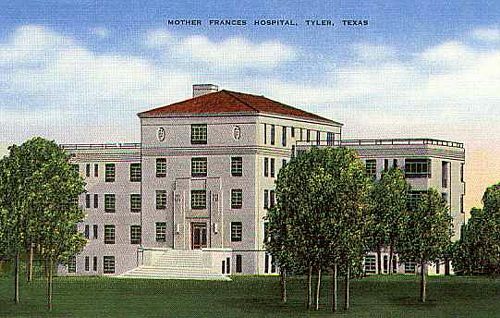 I’m just back from Tyler, Texas where I was charged with being a motivational speaker for Trinity Mother Francis Hospital and their leadership team; Directors, Managers, & C-Level Administrators. It was an amazing off site event. We laughed, we cried, — ok, we didn’t really cry — and best of all, we learned. Part of my job was to motivate these leaders to go back and in turn motivate their teams to excel at customer service. This hospital is amazing, but recently had a key score regarding customer service drop a tiny bit. They of course wanted to get those numbers back up…. and this is where I came in. Thanks Tyler! You rock Mary Mother Francis! Are you looking for a health care speaker? A customer service speaker? Contact me here. Mobile Post: Posted on-the-go by Brad Montgomery from his iPhone. Ok, for those of you who prefer to read, here’s the transcript of the health care speaker testimonial video. Hi, I’m Tricia Cline with Trinity Mother Francis Hospitals and Clinics in Tyler, Texas. We had an event today; we were looking for the right speaker to deliver the right message for the right inspiration for what we need for healthcare change. We all know in healthcare everyday it’s a different world. We’re stressing over what the changes are going to be and how we’re going to be still delivering great patient care. Brad Montgomery is your man. He is the one who can bring it together for you with fun, laughter and interaction of your staff. So if you’re looking for the right message, the right person, the right man, he is your deliverer. Thanks. Another thing I would like to add about Brad Montgomery: we had major concerns about how we were going to deliver the message, how we’re going to feel it in our heart, and Brad brought us together as a group and as a team. That as a team, and as a group, and as a family of healthcare providers, we can deliver the very best to our patients, our customers, their family members and then to our group and our society here in Tyler, Texas. And he can do the very same thing to deliver that message for you wherever you are. https://www.bradmontgomery.com/wp-content/uploads/2018/11/logo-1-495x198-1-300x120.png 0 0 admin https://www.bradmontgomery.com/wp-content/uploads/2018/11/logo-1-495x198-1-300x120.png admin2012-09-01 05:02:352016-12-30 22:07:36Does Your Health Care Speaker Stink?